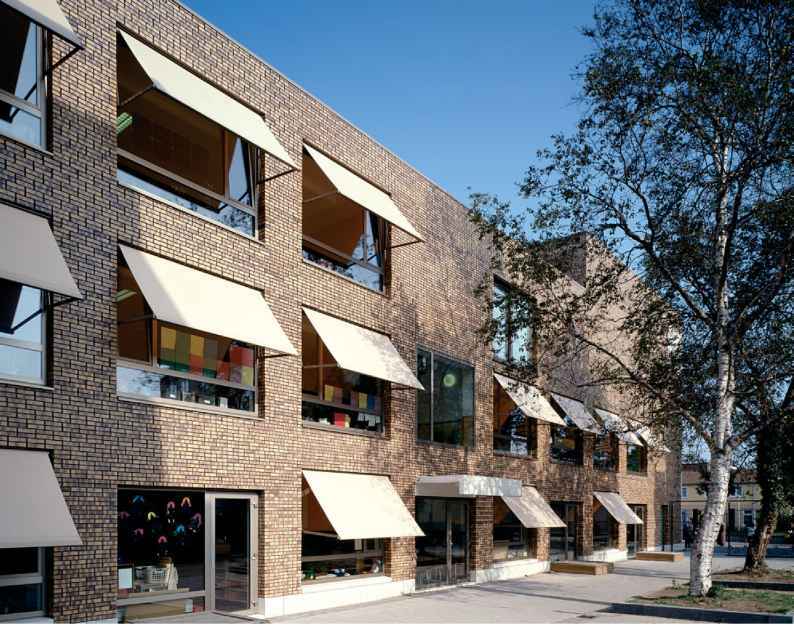 The combination of pragmatic design practice with a strong concern for the relationship between typology and public space gives Geurst and Schulze clear Rationalist credentials. At first glance, an issue of AD concerned with the notion of Rationalism in architecture might be misconstrued as revivalism or even nostalgia. Rationalism admittedly comes with a history, and thus with its own baggage. Several of the contributors, providing national overviews, are tentative about its current position. They assert that Rationalism in the present day belongs to the periphery. Joseph Abram is insistent that 'except for a few rare exceptions there are no traces of Rationalism in contemporary French architectural practice', though this comment, in fact, admittedly proves no more than a prelude to his assertion of Rationalism's significant place in the future of architecture in France. Akos Moravanszky, somewhat more extremely, likens 'Mediterranean Rationalism' in Switzerland to 'the imitation stitching on the moulded plastic dashboard of a new car'. With foresight, Rationalism's past can make people wary. Like much of the architecture of its time, the work of Giuseppe Terragni and Gruppo 7 was associated with the governing regime of Mussolini's fascism, represented by Terragni's Rationalist building the Casa del Fascio in Como (1936). Despite the ideological break with the earlier period of Rationalism, and a sharp move to the Left, the Rationalist tendencies of the 1960s and 1970s were also later discredited with the onset of Postmodernism. In many countries in the late 20th century, little distinction was made between Rationalism and its Modernist relation. This meant that in the mind of the public, its modern language and sensibility was associated with the perceived failure of Modernism and the inhuman face of neglected mass-housing schemes. Jk Jk jm them to uncover and reassess the Rationalist sensibility among current 4 European practices. Livio Vacchini, La Ferriera Offices, Locarno, Ticino, Switzerland, 2003 A grid of matt-black cantilevered steelwork encloses the inner volumes of the office buildings. concepts and the now familiar logic of cross-programming. But to conceive Rationalism as an antidote to contemporary trends would fall back on a nefarious dualism. 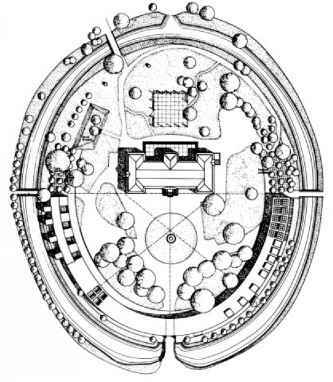 In any case, why should an architecture predicated on the ground rules of a methodological framework - a representative tectonic character and a degree of sobriety or formal autonomy - not also recognise social transformation and the realities of everyday life, drawing on the subjectivity of feeling and experience in its conception? Rationalism can be resourceful, and need not be doctrinaire. So does the 20th-century's quasi-mythical rational 'tradition' live on in the coherent practice of individual architects? In our scrutiny of contemporary architecture in Europe we were not looking for evidence of a 'movement', but for signs of a reflexive Rationalism that might be sought in the consistency of an architect's oeuvre or be identified in particular, and possibly atypical, buildings or projects. Whether this consistency is redolent of, or informed by, a legacy of Neorationalism from the 1970s, or whether this singularity has an affective relationship to the canonical (so called) Rationalist projects of the interwar period, has been deliberately viewed as an open question. However, we have been wary of minimalist affiliations, where reduction to essentials is often subsumed in an overtly self-conscious aesthetic of surface, and also of the stylistic tropes and aesthetic variations that periodically surface to typify a 'contemporary' Neomodernist architecture. 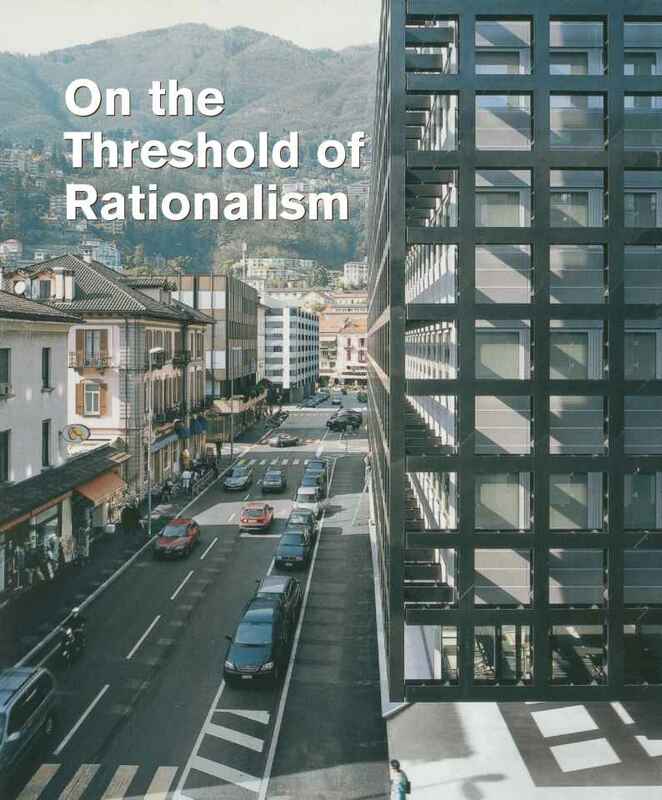 This issue of AD presents a cross-section of contemporary European practice, setting out evidence of Rationalist inclinations, practised within the cultures most strongly identified with Rationalism in architecture during the 20th century: Italy, Switzerland, Spain, France, Germany and the Netherlands. Beyond these, traces are less distinct and so, for example, the particular experience of Functionalism in eastern Europe, Irish Neorationalism, or the limited work of a Rationalist inclination in the UK has been set aside. Each country is introduced in relation to its specific experience of Rationalism in 20th-century architecture. Here contributors have been encouraged to develop their own focus or line of argument rather than conform to a given perspective. Following, rather than forming a continuation of these introductions, are short descriptions of four contemporary projects by architects in each country. These studies are complemented by interviews with two influential protagonists of the postwar period - Giorgio Grassi and OM Ungers - whose thinking on Rationalism has followed contrasting trajectories, and by parallel photo-essays that register the consistent Rationalist practice of Max Dudler and the polemical and commercial approach of De Architekten Cie.
Dudler's natural stone grid obscured by the steel stanchions of the neighbouring railway. Two systems of order are juxtaposed: formal rigour and empirical rationality. 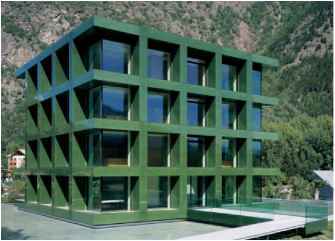 Werner Tscholl, Selimex Building, Laces, Val Venosta, Italy, 2006 A gridded fabric of green glass encloses the conceptually transparent cubic volume of the offices inside. 'rational' in European architecture over the years in titles from 'The Heroic Period of Modern Architecture' of 1965, through 'Neo-purism,' and 'Classicism is not a Style' to 'Building and Rational Architecture' in 1985 - local evidence, perhaps, of Colquhoun's contention that rationality is no constant, but something varying according to 'a constellation of ideas dominating particular historical phases'.3 This conception of a rational dynamic goes against the grain of the Modernist formulation of an architecture reduced to a structure of cerebral form, or a Neorationalist allusion to 'invariant elements of architecture' 'irreducible beyond the experience of architecture itself.4 At the level of the individual, too, the degree of nostalgia, consolation or virtue that motivates an architect's search for rationality may well also inform a degree of displacement, or 'distancing', in the manner in which it is constituted. Idiosyncratic Rationalism may be a philosophical contradiction, but it is an architectural truism. By way of example, consider three contemporary paradigms of a Cartesian mentality in architecture, each employing a constructive (if not always tectonic) grid in a characteristically distinct manner. The first is the trabeated external cladding to Max Dudler's IBM Offices in Zurich. In the second, a grid of matt-black cantilevered steelwork encloses the inner volumes of Livio Vacchini's La Ferriera offices in Locarno. Thirdly, Werner Tscholl's Selimex Building at Laces in the Val Venosta presents a gridded fabric of green silk-screened glass, enclosing the conceptually transparent cubic volume of the offices inside. None of these projects appears at first sight to be a literal expression of a structural frame (though in Vacchini's case the grid does transfer the accumulated load of the office floors on to two revetments on each side of the building). Rather, in each case, the grid takes on a representational aspect. In Zurich, a natural stone grid constitutes the facades of Dudler's aggregated pinwheel composition. An otherwise regular seven-storey block surrounds a two-storey covered courtyard (or hall of columns set out to define a frame). From outside all appears consistent - except when viewed over the neighbouring railway where ad hoc steel stanchions supporting overhead power cables obscure the order of the grid; two systems of order are juxtaposed and the empirical rationality of one obscures the formal rigour of the other. Vacchini inverts this condition in his La Ferriera offices, where gridded Verendeel trusses are constructed over the full height of the building from open welded steel plates, connected at intervals with diagonal struts. Alluding to Mies van der Rohe, the whole screen is presented as an architrave. With a habitual indifference to literal imitation, Vacchini transforms the Cartesian grid in a form of representational realism. This mannerist sensibility is anathema to the objective face of rationality, but, as he explains, the engineering statics do bring about an efficient structure. 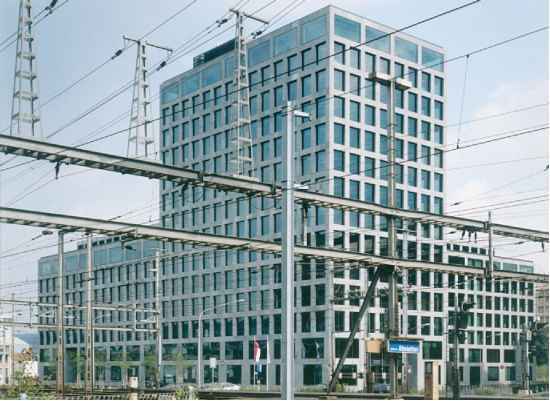 As Dudler's grid represents the rational face of IBM in what seems a 19th-century sensibility, Vacchini's rhetorical screen layers two normative office blocks into the grain, and public space, of urban Locarno. What appears as a formalist gesture retains traces of a Neorationalist urban inclination, privileging an abstract conceptual understanding of form, but one mediated by a surrogate classical modenature. Tscholl's cube, in its valley between the mountains, inhabits a similarly peripheral regional culture to that of Ticino. The building's rational appearance belies its hybrid programme and a night-time aesthetic where the fabric is lit in a variety of colours as a monumental light sculpture. Raised on an earthwork and reflected in a surrounding pool, it epitomises the rationale of a valley dependent on irrigation for its intensive fruit farming. Its shade of green merges with the landscape of the lower valley slopes but, seen from below, the reflective grid, combining artifice and rationality, mirrors the mountains and sky beyond. 1. Alan Colquhoun, Modernity and the Classical Tradition: Architectural Essays 1980-1987, MIT Press (Cambridge, MA), 1989, pp 57-87. 2. Contradictions between Rationalism as 'ethic' and 'lifestyle', and rational production (or cognition) and a culture of 'unreason', are discussed in Ernest Gellner, Reason and Culture, Blackwells (Oxford/Cambridge), 1992, pp 146-57.